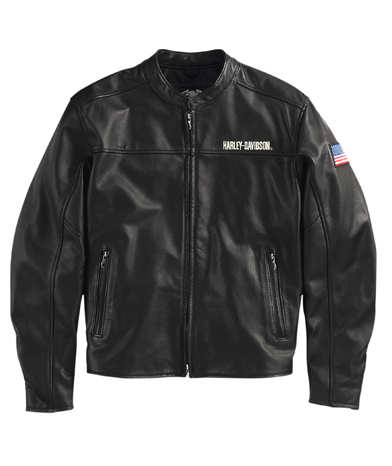 This jet black jacket has slightly matte touch which makes it look quite sober. 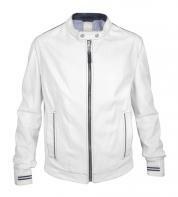 Mandarin collar and the front zipper are some of the simple features of this jacket. 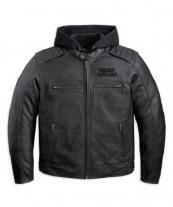 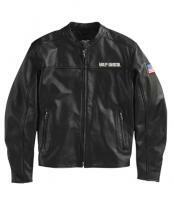 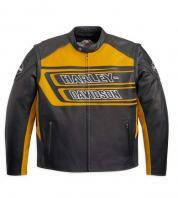 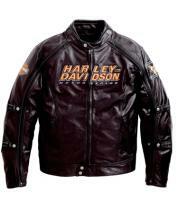 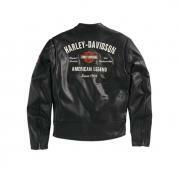 Patched design over the back and logo on the chest line makes you look like a perfect biker. 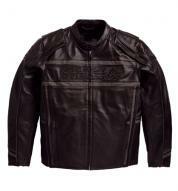 2 side slit pockets and zipped cuffs are crafted for your comfort.